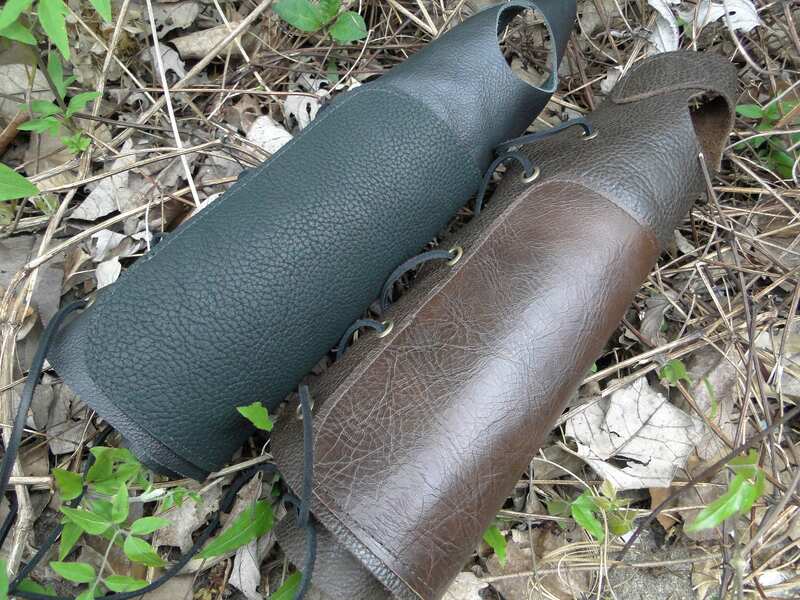 Durable leather archery arm guard/glove combo. Keeps your sleeve out of the way, and gives protection for shooting off the top of your hand if your bow does not have a shelf. 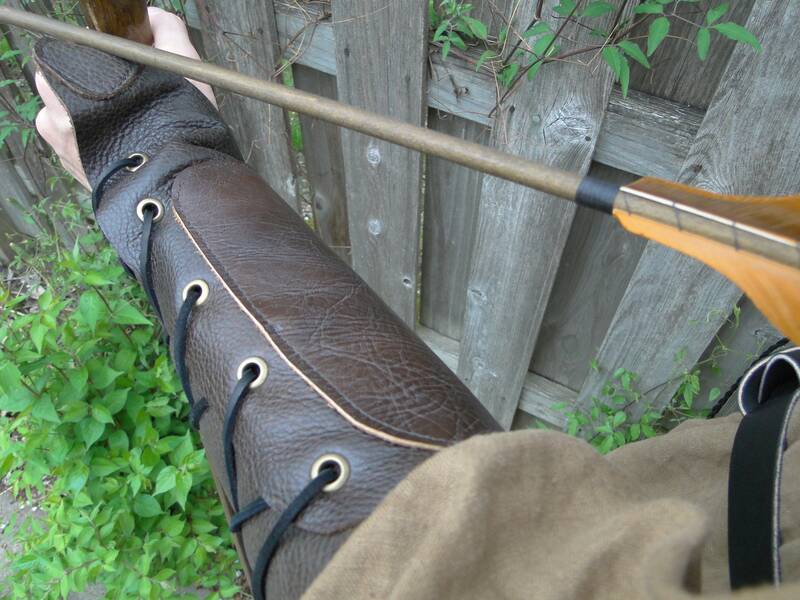 Made with two layers of quality cowhide leather, inner arm has thicker leather piece for protection from the bow string. Easy to put on, laces up through antique brass grommets. 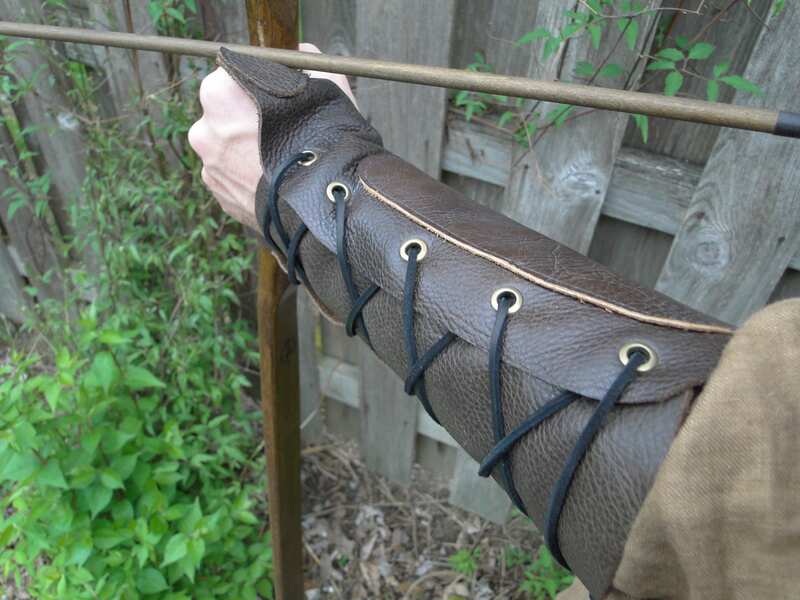 Great for every day archery, or costumes - LARP, archers & rangers. 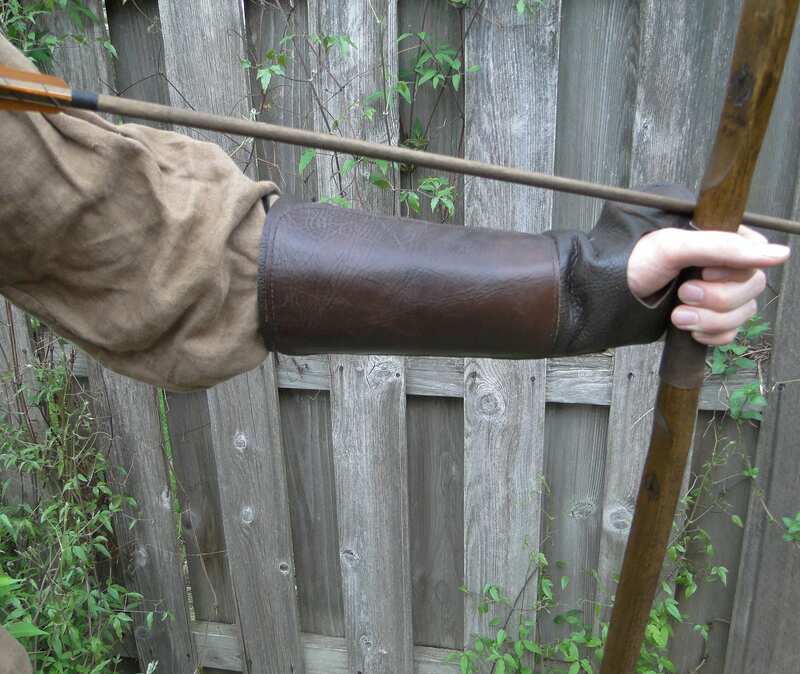 For other archery accessories - gloves, arm guards and quivers visit our shop! Really well made and a great fit. There's plenty of string so it will fit most arms. Very happy customer. Also beautifully wrapped.